The bloody story of the rise of paramilitaries in Colombia, told through three characters--a fearless activist, a dogged journalist, and a relentless investigator--whose lives intersected in the midst of unspeakable terror. 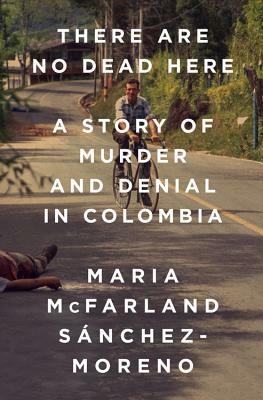 There Are No Dead Here is the harrowing story of three ordinary Colombians who risked everything to reveal the collusion between the new mafia and much of the country's military and political establishment: Jesús María Valle, a human rights activist who was murdered for exposing a dark secret; Iván Velásquez, a quiet prosecutor who took up Valle's cause and became an unlikely hero; and Ricardo Calderón, a dogged journalist who is still being targeted for his revelations. Their groundbreaking investigations landed a third of the country's Congress in prison and fed new demands for justice and peace that Colombia's leaders could not ignore. Maria McFarland Sánchez-Moreno is the executive director of the Drug Policy Alliance. Previously, she held several positions at Human Rights Watch, including as the organization's senior Americas researcher, covering Colombia and Peru, and as the co-director of its US program. She grew up in Lima, Peru, and now lives in Brooklyn.